In accordance with the Biblical model of tithing, all Habitat affiliates give 10% of undesignated gifts to one of the 65 countries in which Habitat for Humanity is active. 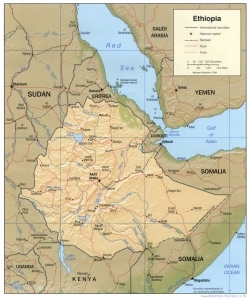 Located in the eastern coast of the continent of Africa, only 30% of Ethiopia’s current housing stock is in fair condition (the other 70% in need of total replacement). Only 49% of Ethiopians have access to safe drinking water and only 21% of the population has access to adequate sanitation. Habitat for Humanity Ethiopia focuses on housing, water and sanitation services, and urban slum upgrading. For more information, visit Habitat for Humanity Ethiopia. 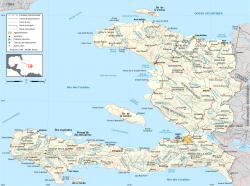 Haiti is the poorest country in the Western Hemisphere, with 80% of the population living on less than US$2 per day. The 2010 earthquake destroyed 105,000 homes and damaged another 190,000. Of the more than 2 million survivors, more than 1.5 million were left homeless. Habitat for Humanity Haiti’s work encompasses new home construction, community rebuilding, and land reform advocacy. For more information, visit Habitat for Humanity Haiti. 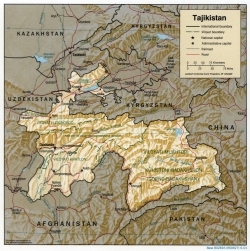 Tajikistan remains one of the poorest and most economically fragile countries that emerged after the fall of the Soviet Union. Wages are extremely low (average <US $100 a month) and 50% of the population live below the poverty line. A civil war from 1992-1997, regular earthquakes and tremors, and highly variable temperatures have combined to create many housing challenges. Habitat for Humanity Tajikistan’s work includes providing housing support services and affordable microloans, promoting women’s equal right to housing and property, and energy-efficient renovations and winterizations. To learn more, visit Habitat for Humanity Tajikistan.